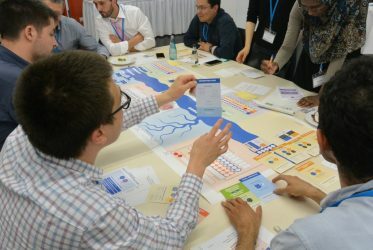 The Nexus Game offers a unique opportunity to explore the challenges of water management for energy and food production. Participants are put into the roles of key ministries of two countries sharing the same river. From this perspective, they may brainstorm and collaborate to creatively form and verify a number of policies. 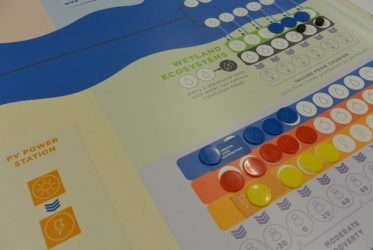 As they try to meet the growing water demands, they still have to remember about ecological and economical balance within and across the borders. 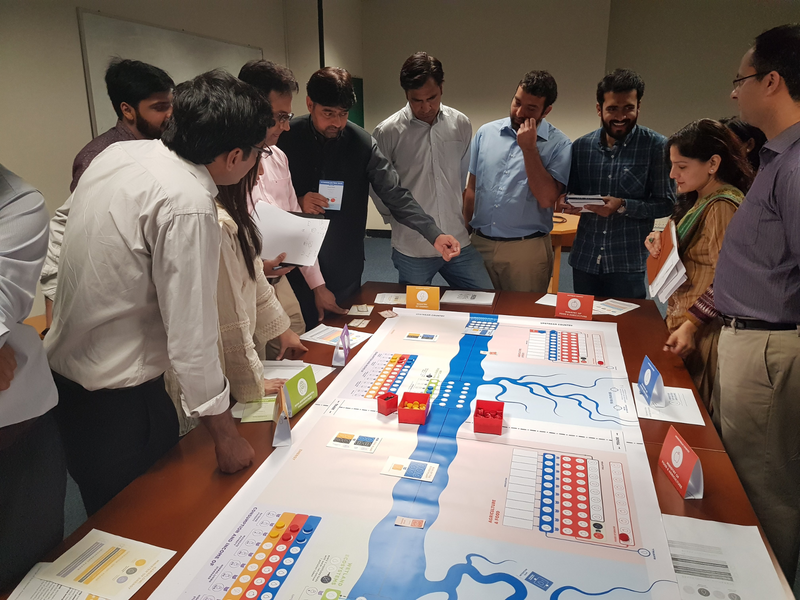 The simulation is foremost targeted at water, energy, and agriculture sector professionals: ministries, power plants, capacity building institutions, etc. It is designed to be used within capacity development programs, both as a training tool and a policy exercise. and Morocco (9th GEF Biennial International Waters Conference). Magdalena Liszka and Piotr Magnuszewski flew all the way to the Marrakech, Morocco. But not to sightsee and relax! 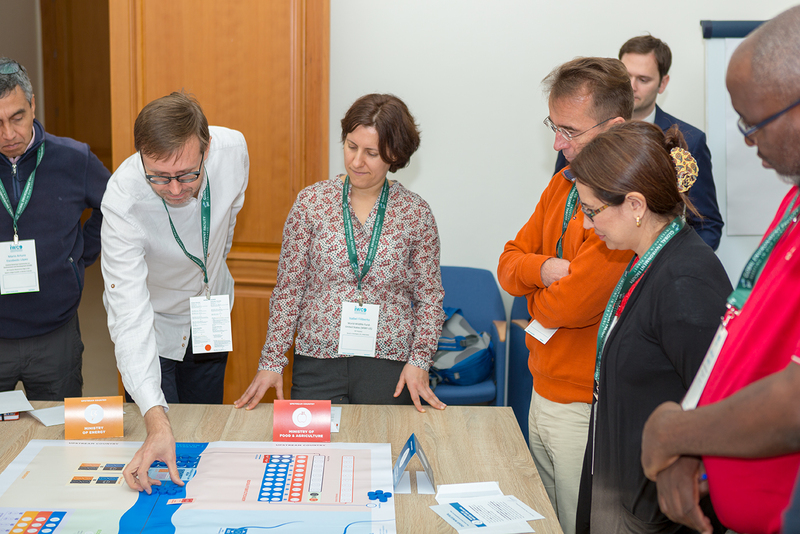 Centre for Systems Solutions was invited to the 9th GEF Biennial International Waters Conference! The nexus approach can guide a transition to sustainability, by reducing negative impacts within the system and producing gains that outweigh the costs connected with investing in better policy and “greener” technology. Piotr Magnuszewski co-organized and co-conducted a workshop on nexus approach in the Zambezi Basin as part of the ISWEL project (Integrated Solutions for Water, Energy, and Land), led by the International Institute for Applied Systems Analysis (IIASA), the Global Environment Facility (GEF), and the United Nations Industrial Development Organization (UNIDO). 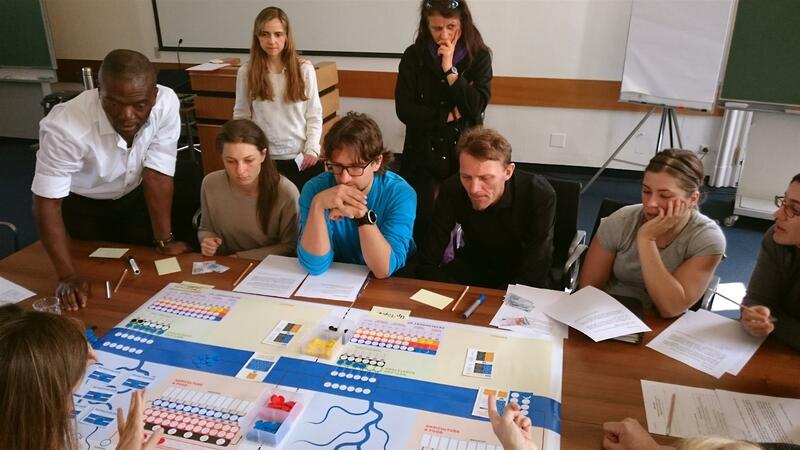 While playing as stakeholders from two bordering countries, players discovered that the game shares many similarities with the situations and problems they challenge in their day-to-day work. 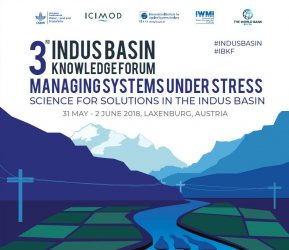 Piotr Magnuszewski participated in the Indus Basin Knowledge Forum (IBKF)! 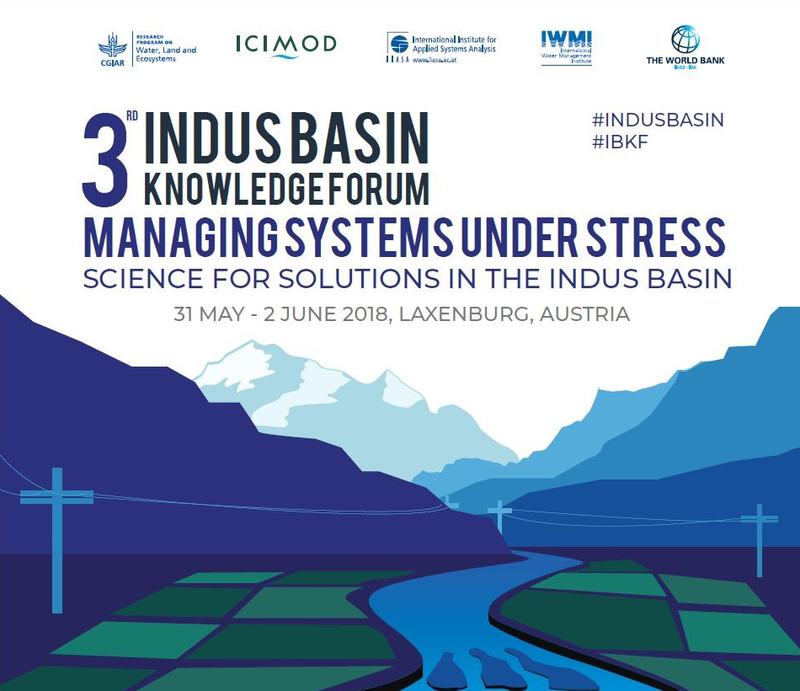 Piotr moderated one of the panels “Water, Energy, and Land Nexus in the Indus Basin: Exploring future and desirable futures”. 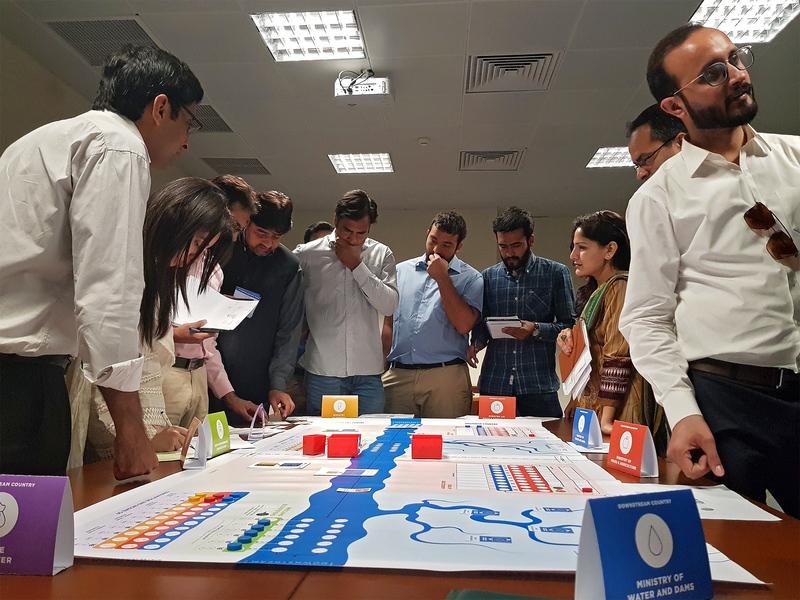 Playing Nexus Game at Lahore University of Management Sciences! 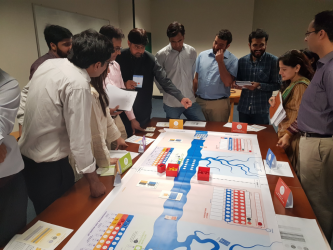 Piotr Magnuszewski, together with his colleagues from the International Institute for Applied Systems Analysis, led the Nexus Game workshops with the local stakeholders and students of the Center for Water Informatics & Technology at Lahore University of Management Sciences (LUMS). 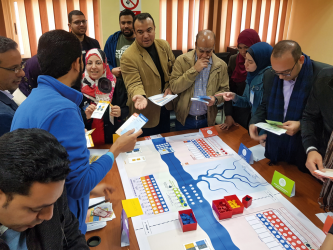 Piotr Magnuszewski participated in the 5-day ‘Water Modelling Approaches to Egyptian Academics’ workshop organized by the International Institute for Applied Systems Analysis and the Egyptian Academy of Scientific Research and Technology (ASRT). 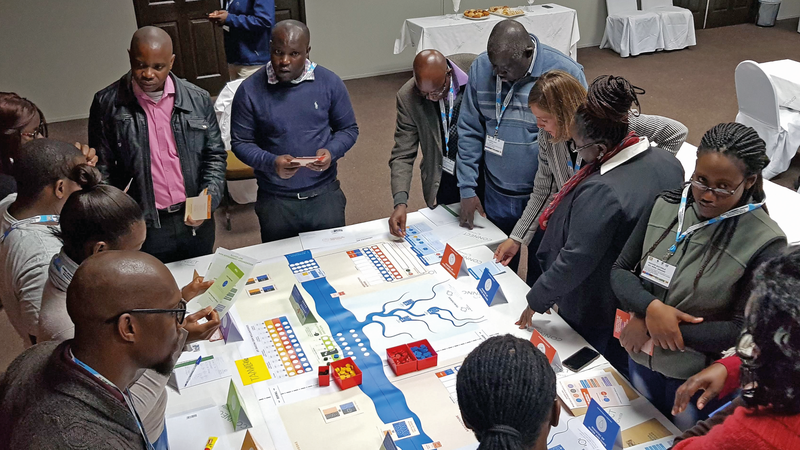 Integrated, independent, inspiring were the themes of this year Southern African Systems Analysis Centre’s Emerging Researchers Program (SASAC), which was launched 20 August 2017 in Johannesburg, South Africa. The game was developed by the Centre for Systems Solutions in collaboration with the International Institute for Applied Systems Analysis and the Sustainable Energy for All initiative. and see our other games and social simulations.